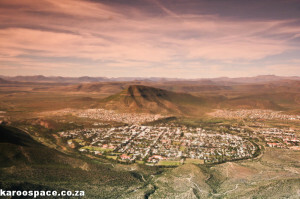 Moving to a Karoo town – this could be the adventure of your life. Moving to the Karoo is like emigration on trainer wheels. Your friends and folks are easily accessible in Johannesburg or Cape Town, the folding money still looks the same and we mostly speak South African languages in the Karoo – although we tend to mix them up a bit. But don’t be fooled by all that. You are, in effect, moving to another country. And it’s a wonderful place. So here are some basic survival tips for moving to and living in the Heartland of South Africa. On-line: Visit Karoo Space and poke about the Features sections and the Karoo Central department. Then consider our great e-book three-for-two offer and you’ve basically got the Karoo on your computer, tablet and other laptop device. Your Karoo trio of e-books (for a steal!) 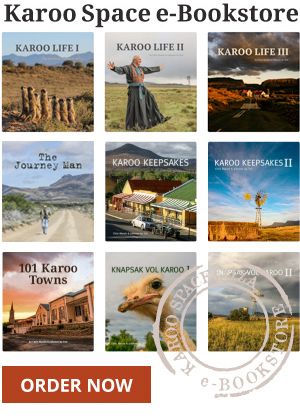 includes Karoo Keepsakes I, Karoo Keepsakes II and 101 Karoo Towns. Real time: Once you’ve found six places that have caught your fancy, come down and visit them for a few days. Find the town that is the right size and fit for your stage in life. 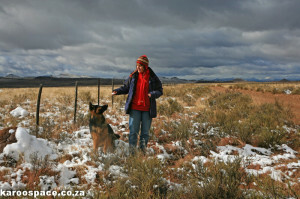 Karoo winters are sometimes harsh and sometimes fun – if you’re dressed for them. Stockbrokers become rose growers. Company mavens become cheese-heads. Former coal miners now make forest fairies for a living. Old journos become wine-makers. OK, that’s not much reinvention but it’s something. The point is, both husband and wife can chase their dreams out here and do The Thing they’ve always dreamt of doing. In our 15 years of freelancing for South African Country Life magazine (in fact, this publication should really be your first research pit-stop if you’re looking to find out about life in the SA countryside), we’ve met hundreds of couples who have successfully undergone this transformation. This town you’ve settled on, does it support your professional work plan? How is the broadband connectivity? Do the courier companies deliver every day? Who is your client base? This is a good time to take off the rose-coloured spectacles and look long and hard at how you’re going to make a living in the Karoo. The trick, obviously, is to bring your clientele with you in the move. Make sure you have someone to talk to, to get drunk with, to pray with, to take on projects with or to share a good book, movie or song with. You don’t need a big posse. A couple of couples will do. You cannot live in isolation, no matter how big or flat your TV screen is. 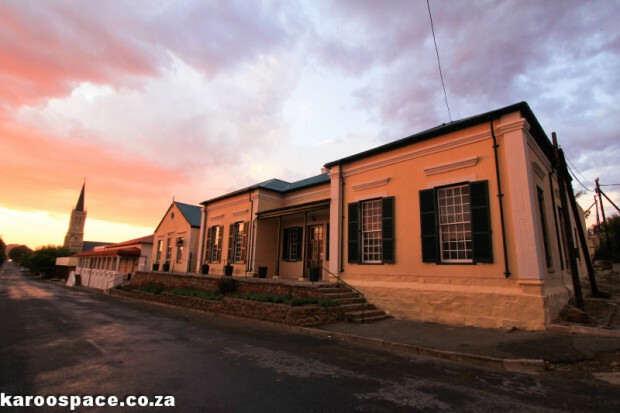 Even without rose-tinted spectacles, Graaff-Reinet remains the Gem of the Karoo. In small towns, things still get repaired. There’s always a handy guy around, a Mr Fixit who takes in your toaster, your heater, your hoover, your kettle and gives it back to you tomorrow as good as new – for a very small charge. And you’ll probably find your Mr Fixit used to be a Randlord or something. Everything drops down to human scale. You know the person who works on your water mains, who does your taxes, who fills your teeth, who takes your pulse, who massages your back and who sells you hardware. You see them around a lot. Make sure your town has at least two computer geeks – they’re pure gold when your PC goes down. We have a power failure back-up plan which involves (in winter) a roaring fire, a lustily played Spanish guitar, lots of blazing candles, cheese, crackers and bottles of red wine. This plan is often put into action, and when the lights come on we simply switch them off again and carry on warbling. Others might want a more reliable and sophisticated set of backups, like generators, solar panels, wind pumps and rainwater tanks – all well worth the effort. Check out the local hospital. Any good? Or just another depressed germ factory? Now work out exactly where you would go in a medical emergency. Find out if there’s a private ambulance service running to a big city or a good hospital in another town, and if your medical aid covers it. 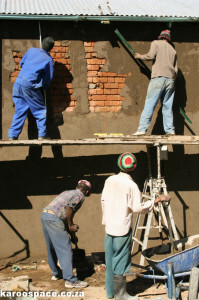 Find the right contractor to refurbish your old Karoo house and half the battle is won. How is the schooling system? A working set of all-inclusive schools brings business to the town, good will from parents, it speaks to the future of the community and its faith in being here – its sense of place. There’s nothing sadder than a deserted schoolyard – and few things more pleasant than a grandstand packed with ardent supporters at a high school rugby game in the country. Rentals are lower, local hire doesn’t put your overheads through the roof and, in general, the cost of living drops radically – along with your insurance rates. But just remember: the freshest vegetables are always sold in the cities. That weird truth is right up there with why the braai smoke always follows you around at a party. It really helps if a town has a local champion. In the rural areas, one person can indeed make a difference. That person is normally the tourism firebrand of the town, someone with a passion for restoring the local heritage, someone whose blood boils at the sight of litter all over the place. Break bread with this person. And lend a hand when asked to. This might sound trite to some out there, but look out for a town that tells its own story well. It’s normally a place with a lot of festivals, tour guides and raconteurs. However, drive past the towns that have become too precious. They do not need your intellectual capital. Watch out for dirty towns where no one likes to drink the water. Litter and bad water management are often signs of deeper damage, and that trail leads right up to the front steps of the local municipality. If you can find a town where the chamber of commerce can actually sit down with municipal officials and work something out for the good of all, you’re onto a winner. Want to know more about the Karoo? Check out the Karoo Space Ebookstore HERE. You will find lots of illustrated Ebooks and very good package deals to boot. Be prepared for glorious landscapes, open horizons and creaking wind pumps. An excellent article. Informative and interesting. Glad I moved here. Wouldn’t live anywhere else. Hi Hillary, I agree. Any idea how to get in touch with you? Never, never, ever put your feet into your slippers/shoes before checking what spent the night (and is still there) in them. Love my Karoo life more than anything I have ever experienced. Geniet elke oomblik, die lewe het weer kosbaar geword. Klein dingetjies het groot waarde. Ons moes dit al baie baie jare gelede gedoen het . 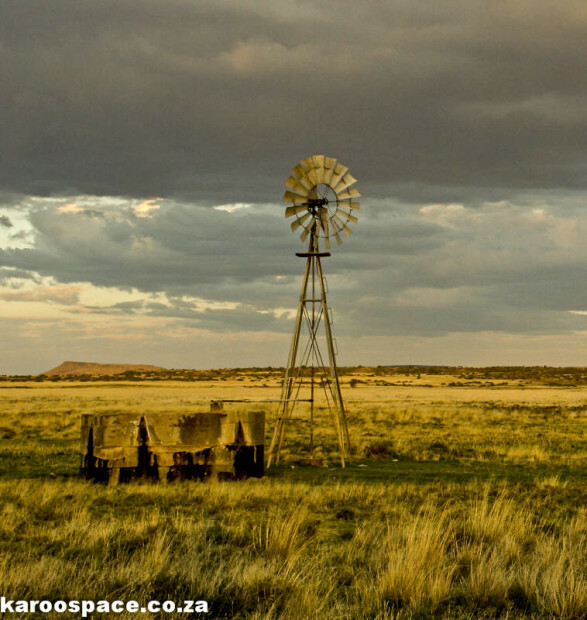 Pictures of the Karoo makes one want to visit! I have been hankering to live in the Karoo since I was a pre-teen. I have a great set of practical skills, as well as commercial talents that can operate from afar…however…. Along comes the biggest problem of all. My daughter is not boarding-school material. She’s in Grade 10 and I simply do not know how to move forward. She currently attends one of Jozi’s best govt high schools, so a move means I have to find a place that has quality education. I fear I am not going to find it. Cape Town is out of the equation (yeah, I know it’s not the Karoo) but how do I find a reliable assessment of schooling in Karoo towns? This is a genuine concern, and I’d really appreciate feedback. The first one that springs to mind (because of its excellent track record) is Union High School in Graaff-Reinet. Have a look at http://www.unionschools.co.za/. Let us know if you’d like to speak to someone who went there (Old Boys/Girls)! ps. I moved here six years ago with my only regret being that I did not do so earlier in my life! Hi, I wasn’t aware there is a private school. The only one I can find is Zwartberg. Two years will pass quicker than expected… or let her board with a friend. Good luck!! My daughter is in grade 10 at Union High in Graaff-Reinet. It is a top class school, small class sizes, good teachers and is as picturesque as the website shows. I didn’t want to take my daughter out of her previous school, and many tears later, I did. Now am glad I did. Your daughter will fit in easily, as the girls are friendly and have not experienced bitchiness at all, which is common to a lot of new kids on the block. Any chance you could quietly mention which are towns to avoid (particularly the ones with dirty water). If not publicly, would you mind emailing me some names. Much obliged. Ahhhh…how do I survive if I’m coming from London rather than Cape Town?! We stumbled into Prince Albert pretty much at random on a road trip two weeks ago. I fell in love with the place almost instantly and hard. I have your Karoo Keepsakes II by my bed and am reading a little every night for sweet dreams. Right now I can’t get back on that plane, but I hope the day will come when I get to live in the Karoo at least for a while, rather than just be a tourist! In the mean time, sending all my love to your amazing country. How very kind. Thank you! How do i find a good nursing job in a pleasant hospital or clinic? This must be in a nice place like Prince Albert or Graaff Reinet. This is possible?